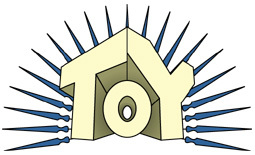 The ToY Awards started back in 1998, when ygr was just doing reviews on his own. Yes, there were other end-of-year awards around at the time, but most of them focussed primarily on "child safe" toys, handing out praise for educational content, safety in manufacturing, and encouraging non-violent play patterns. For years, fans have been waiting for a figure of Ultron that actually looked like Ultron, and Marvel Select finally delivered. He looks great and moves well, but the reason he beat out some of the other competitors is his reasonable pricetag and the fact that you could actually find him in stores with no trouble. All the figures use the same base body, but paint and accessories have allowed NECA to create the entire Lost Tribe, showing an incredible depth. They also went back and added articulation to the Jungle Hunter Pred (creating a third new body in the process), and the future of the line looks very bright. This piece won out because it not only looked good (and looked just like it does in the source material), but also had a play feature that added value to both to the figure it came with, and to any other figure you put it near. The packaging is designed so you can open it, play with the figure, but still close everything back up for display or storage. But it's the beautiful paintings on the back that really make these boxes worth holding onto. Most companies go for cool art or resealable packaging, but the DC subscription figures offer both. Mattel put a bargain store toy onto mass retail shelves, and thought no one would notice? The toys are badly sculpted, poorly articulated, and packaged like something you'd find at a bodega. What really makes this bad is the worry that it's the direction the toy industry is moving. There are lots of rumors about these figures - cancelled wave, movie tie-in, unplanned release - but whatever their story, they're good. When GI Joe Retaliation was pushed back, these became the only new Joe product we'd get all year. They're just repaints and existing characters, but the designs were ones we hadn't seen since the '90s. Plus, as long as you lived near a Dollar General, they were plentiful and easy to find. Now that you know what's won this year, you can head on over to see our past winners. The Class of 2012 joined some illustrious ranks, and they're all archived here.